The weight of a teen girl would differ from that of an adult lady even when both of them are of the same height. 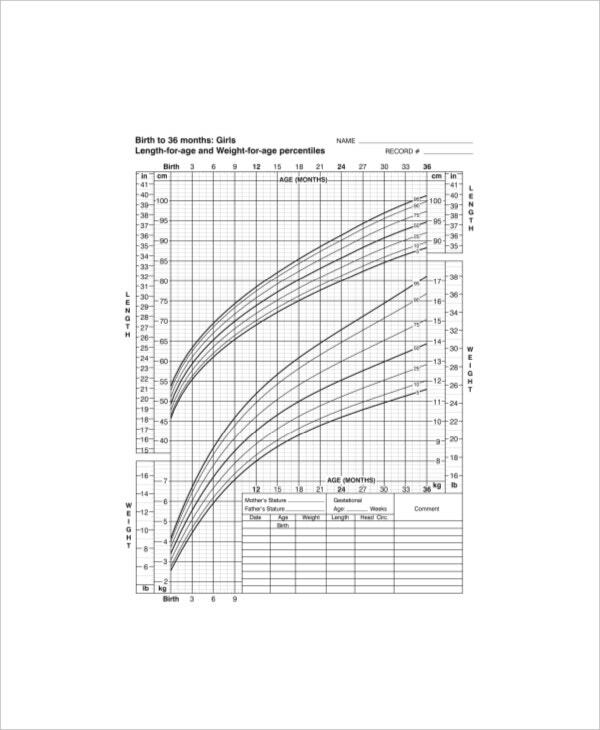 In this case, you would specifically need weight to height ratio chart that is specially made for girls- with the ages ranging from 2-18 years. These Height Weight Chart Templates would cover both childhood and teenhood. Such a chart will be able to check overweight and underweight issues in young girls by showing them their ideal weight with respect to their height. The height weight chart girls example is also available with classification based on ethnicity. For example, you will have separate Chart Templates for Oriental girls, Caucasian girls and so on. This is because of the weight quotient which varies from one culture to another. The good part is that these charts show how much weight you exactly need to manage when you don’t meet the ideal weight standard. There is a height weight chart girls template to help you out here. 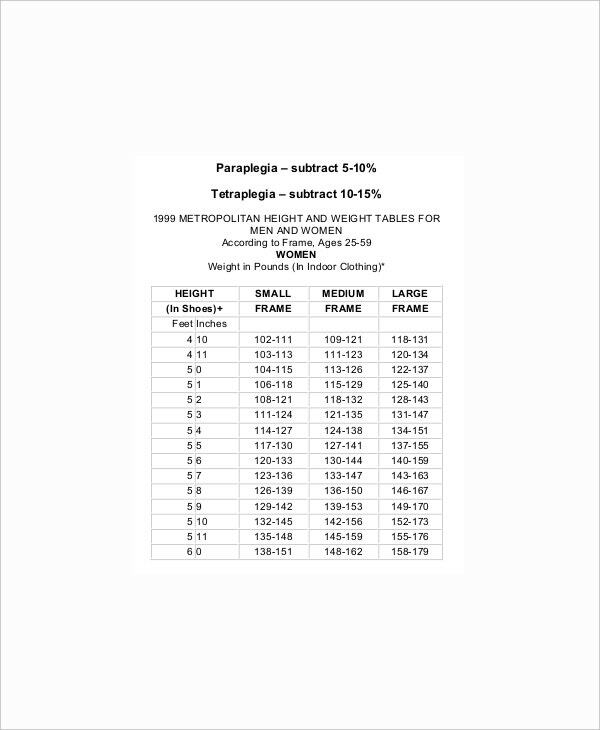 A height and weight chart girls in pounds template shows the ideal weight in lbs metrics. 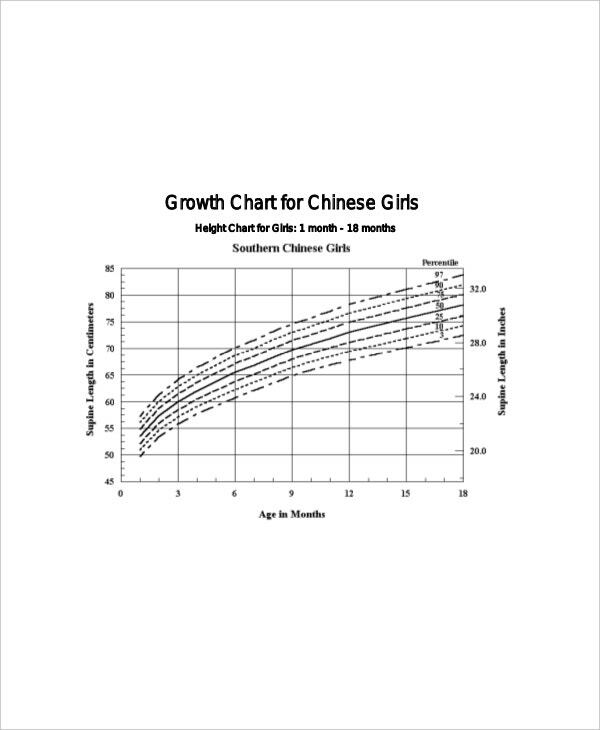 A height and weight chart girls in kg template shows the normal weight in kg metrics. 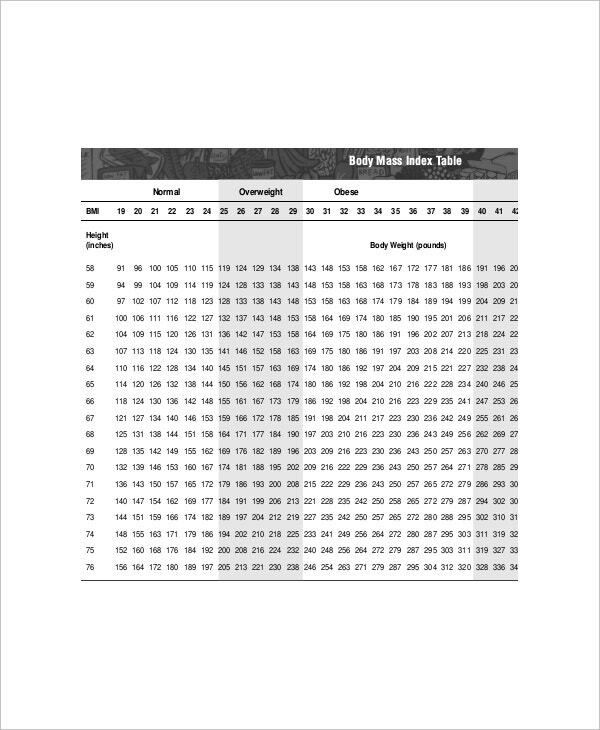 A height and weight BMI chart girls template counts the unit of body fat for young girls, based on their height & weight. You can also see Baby Weight Gain Charts. A height and weight chart for girls by race template shows the ideal height & weight of a young girl, based on ethnicity. A height and weight chart for girls by age template shows the ideal height and weight of a girl based on different age groups. 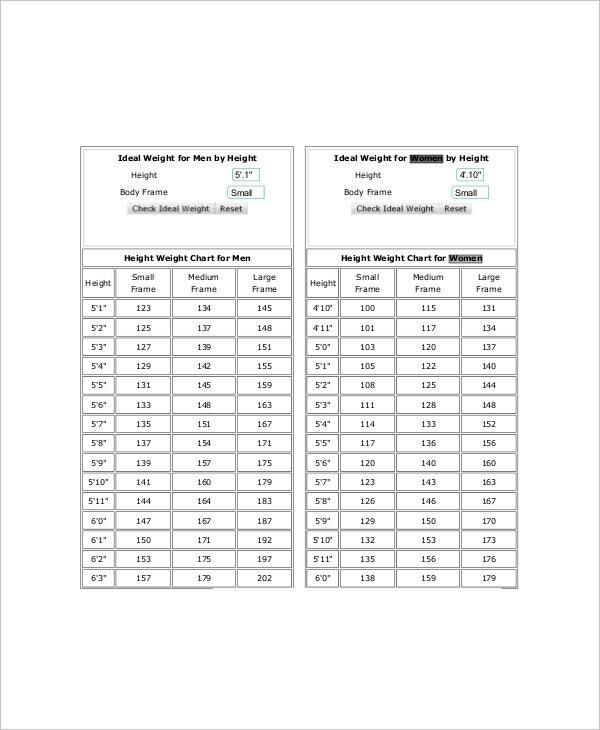 > Why to use Height and Weight Chart Girls Template? 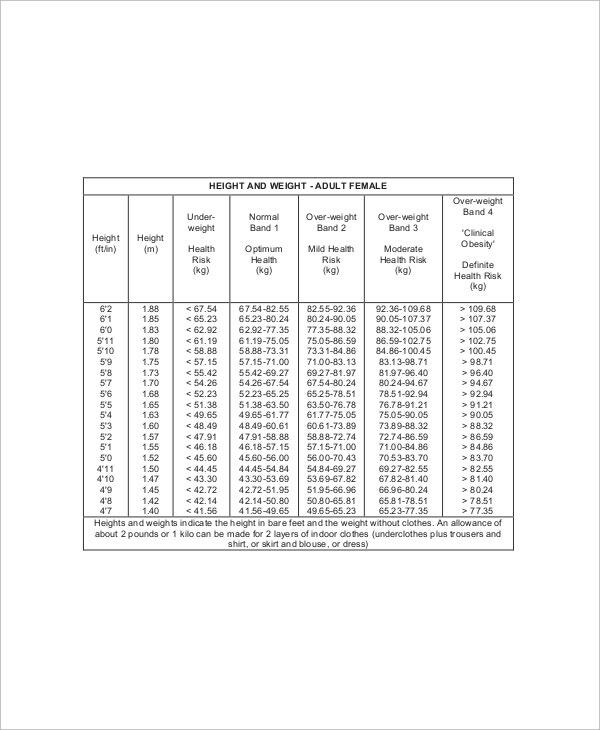 To start with, a free Height and Weight Chart Templates will offer a picture of what should be the target weight of a girl, based on her height and age. Thus, it saves you from any doubt you might have regarding your weight or your daughter’s weight. This also helps you understand whether the girl is on the right path when it comes to her health and wellness, as weight in relation to height is a big factor in determining the wellness of an individual. In fact, based on that chart, you might consult a doctor in case the chart indicates that the girl is underweight or overweight. When it comes to best height and weight chart templates for girls over the web, template.net is always one of the most recommended choices. 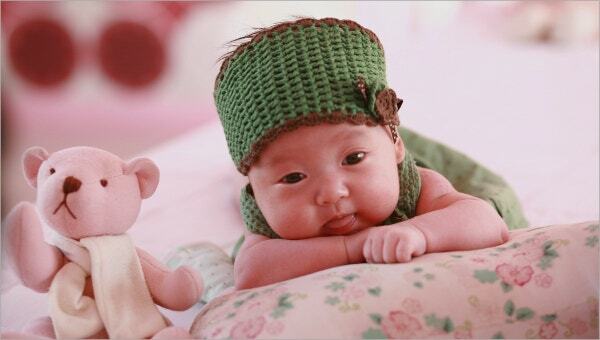 The site boasts a great range of such templates for different ages for girls.